This past weekend I went with a mate up to the Grampians. 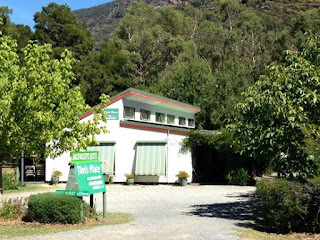 It's about a 3-hour drive from Melbourne so we knew this wasn't going to be a day trip. We started discussing various options of where to stay. As the Grampians are a massive national park, I initially thought we should just camp but the unrealistic fear of massive spiders trying to eat my face off and her fear of us becoming part of a horror movie quickly eliminated this option. We settled on booking a hostel. Our original hostel cancelled the day before our travels and we were left scrambling to find another place to stay. This is when we found Tim's Place. To be honest, at first, it was a little bit of a turn that Tim's Place had a website where you couldn't book a reservation. You have to kick it old school and phone to make a reservation (Heaven forbid you actually have to make contact with another human being instead of clicking a button). After laughing at how ridiculous it sounded saying "Gggrrrr... I have to call to book a reservation instead of booking online", the annoyance was over. As we would be arriving fairly late, it was incredibly nice of Tim to make arrangements for us to access our room. Upon arrival, there was a really nice little sign welcoming us to the hostel. Thankfully, Tim placed the note on the sliding glass door so it was easy for us to find our room. Otherwise, we might have been wandering around in the dark trying to find where room two was. Tim's Place did not feel like a hostel to me, but instead more like a homestead. 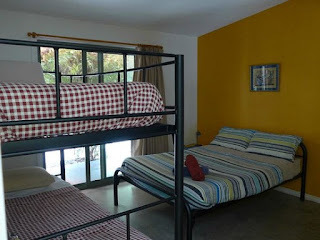 Yes, there were a bunch of people staying in a commonplace but the rooms were a bit more private than a typical hostel. My mate and I were in a room in which we did not have to share with any other people. The bathrooms were a common area but I never had to wait to take a shower or go to the bathroom. There was a nice kitchen area as well as a lounge room with books, movies, and a TV. Outside, there was a communal garden with various herbs and veggies. The whole place was eco-friendly which was really nice to see. I really didn't mind paying a little bit more money to stay here! Internet, towels, linens, bikes, and the garden were all included in the price (if you've stayed in a hostel before you know that you often have to pay extra for internet, towels, and linens). Before setting out on our adventures the following morning, we stopped by the managers office to have a chat with Tim. He was incredibly helpful and knowledgable about the surrounding area and what we would be able to accomplish in the two days we were there. He gave us a great plan of attack for the day whilst being realistic about timeframes. Needless to say, at the end of day 1 we felt really accomplished and insanely exhausted. Tim, if you ever read this, I still can't believe you can complete that trail in 2.5 hours. You sir are a beast! On top of the friendly, welcoming atmosphere my favourite aspect of Tim's Place was the fact that we had kangaroos literally right outside our door. 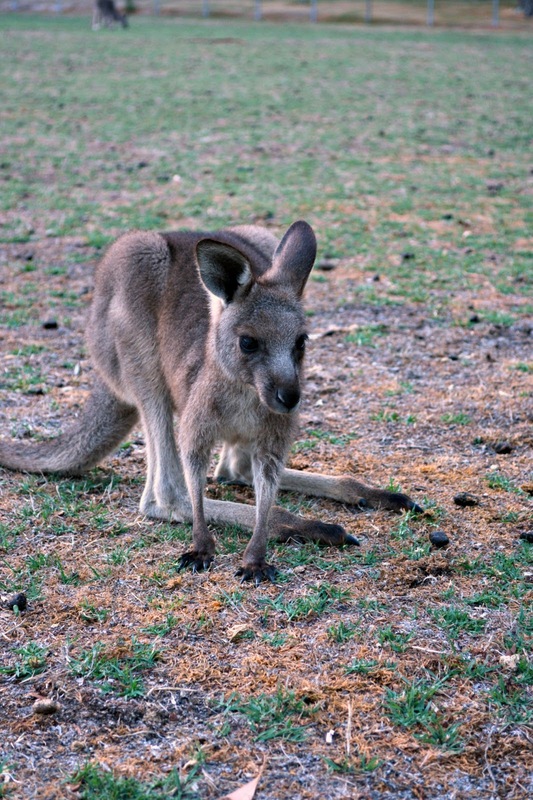 After living in Australia for over a year and a half, I still cannot get over how insanely cute kangaroos are. 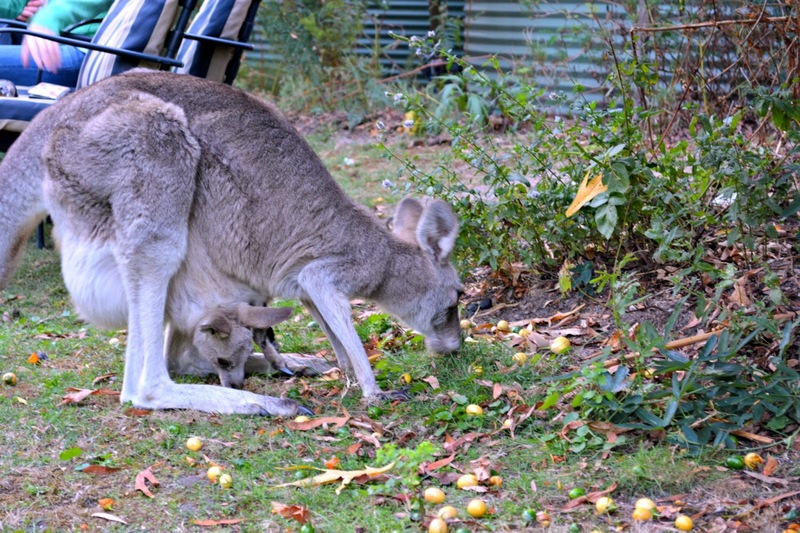 I felt incredibly lucky to see a mama kangaroo and her joey chilling outside the front of our place. Not only was there a mama and her joey but there a was also a whole oval full of roos! It was almost as magical as Disneyland. 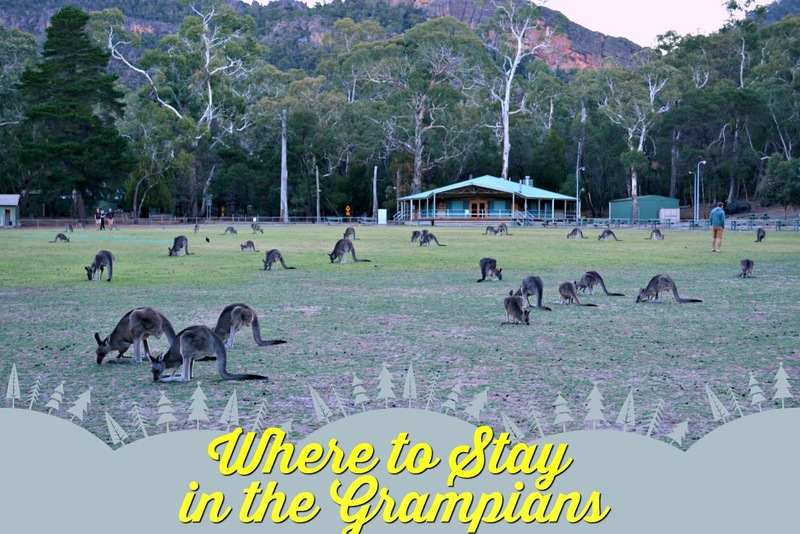 I may be a little bias as this has been the only place I've stayed in the Grampians however, it was the perfect mix of the outdoors and modern pleasures. 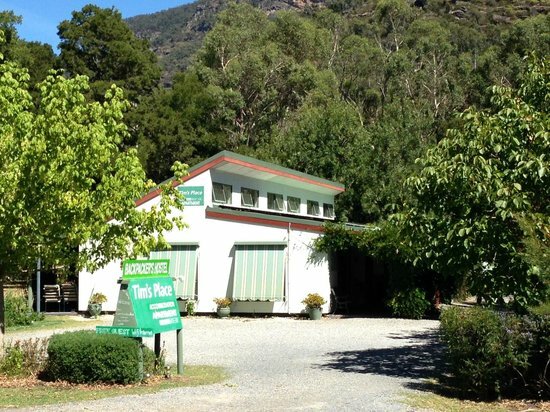 Have you ever stayed at Tim's Place? If you've been to the Grampians, where did you stay? Did you camp? Let me know! How fun! Glad you two had fun!